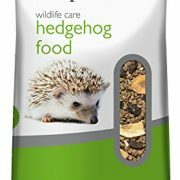 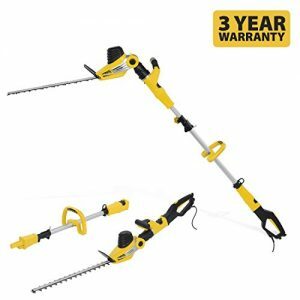 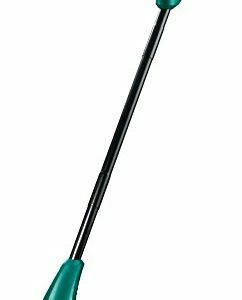 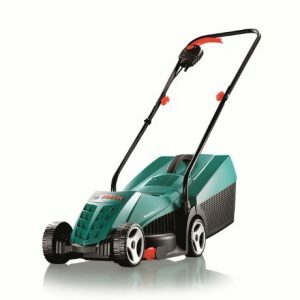 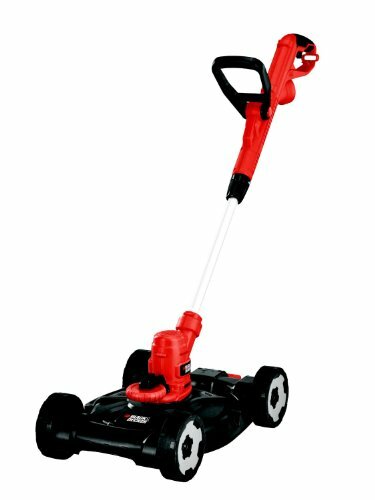 Use as a traditional string trimmer to slice through tall grass and overgrown areas of your garden. 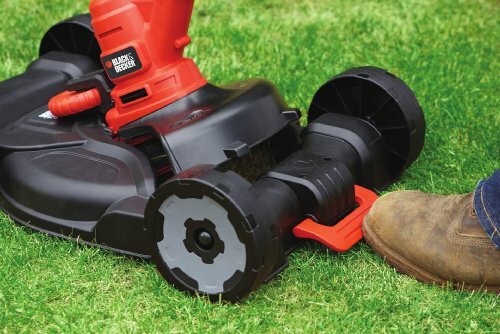 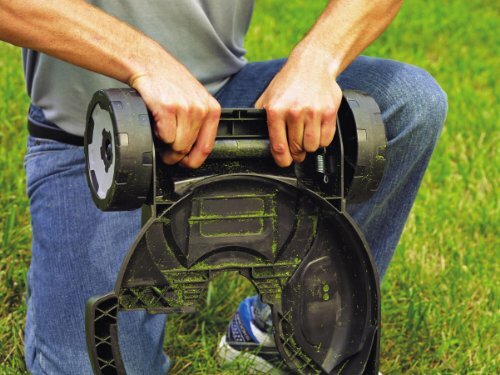 Edging – Edging function with precision guide wheel for perfect lawn edges every time. 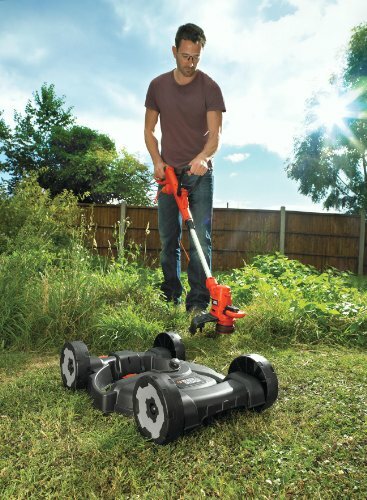 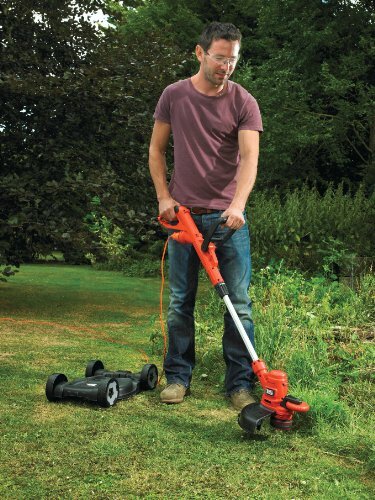 The ability to turn a strimmer into a super lightweight mower is one of those genius ideas we all wish we had. 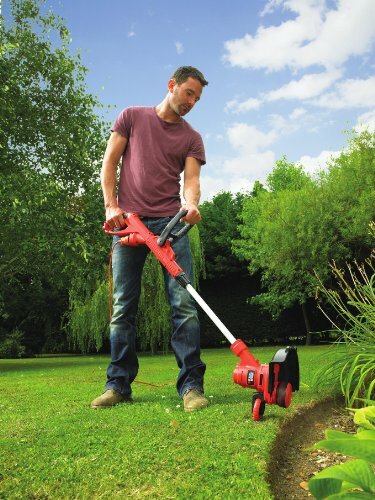 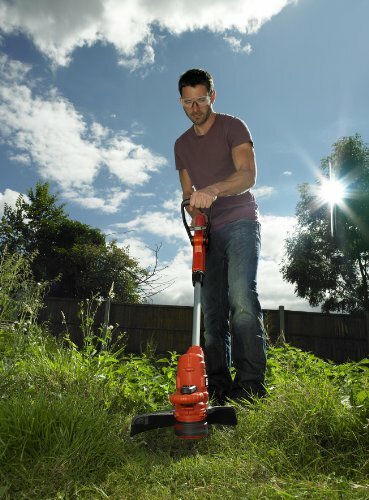 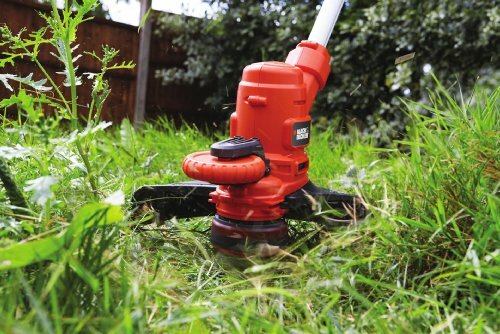 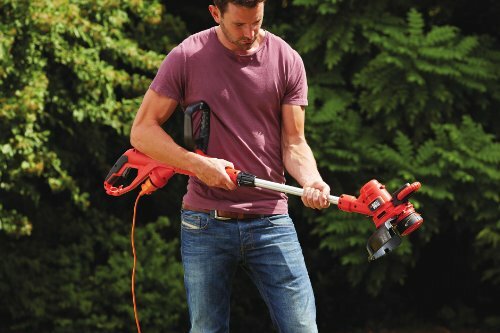 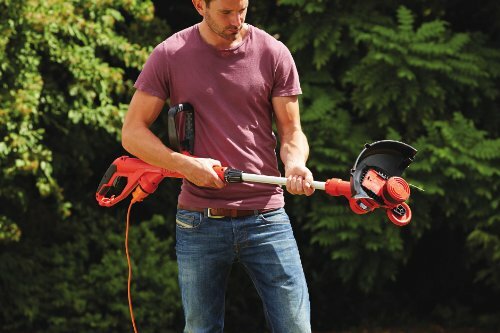 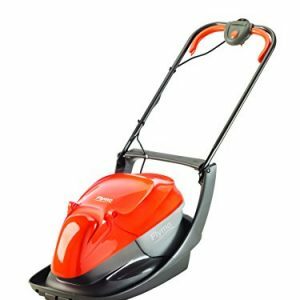 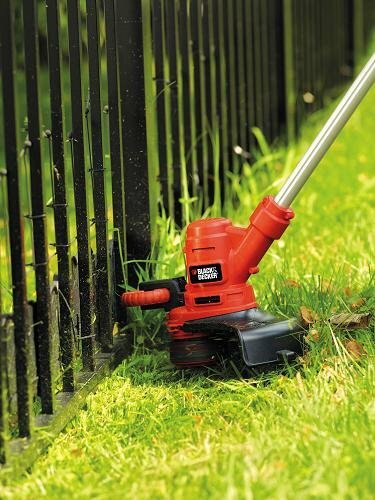 You can use this 550w strimmer as a traditional string trimmer to slice through tall grass and undergrowth or clip on one of the attachments to use it in different ways. 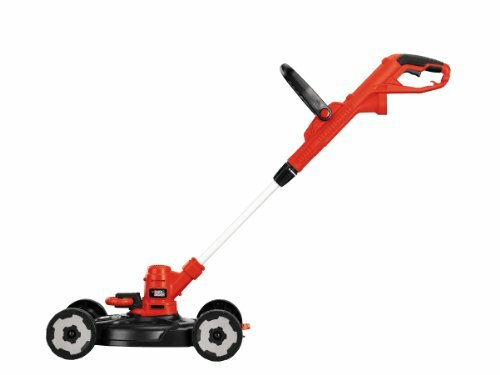 String Trimmer simply clicks into the base, enabling easy change from trimming to mowing and back. 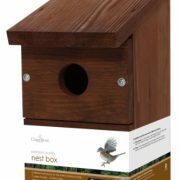 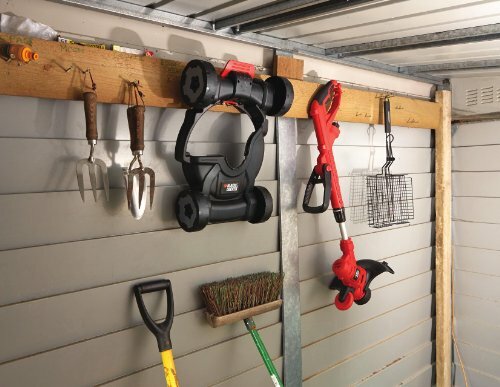 Easy to Store – Store in a shed, garage or cupboard without using precious floor space.